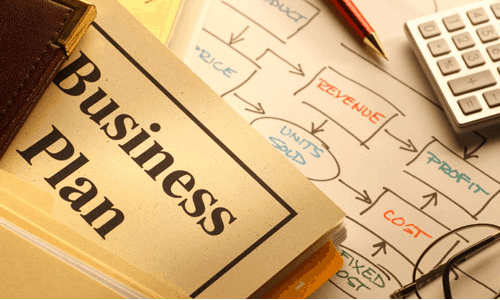 Developing a business plan for your website and your internet marketing efforts is important, simply because it will help you to be prepared for the many problems and opportunities that will arise. Planning ahead plays a huge part in your success, which is why it is vital that you take the time to sit down and actually write down an online business plan for your website. Every business, whether online or offline, has a number of business processes that detail how they will perform their tasks until completed. These business processes are incredibly important, as they help you to know how to handle orders, requests, emails, phone calls, and the information that you will be receiving on a daily basis. If you can create effective business processes, you will find that your online company is much more effective and will run smoothly. The goals that you are working towards will play an important part in the success of your business. Having objectives to strive for will lead to your success, but failing to set targets will lead you to fail. Setting budgets can enable you to know how much you are able to spend towards reaching that goal, using resources such as Pay per Click advertising, search engine marketing, and article marketing to help you. Reaching your goals will cost money, and having a budget for reaching those goals is vital. Many people think that web design doesn’t play such a vital role in the success of their website. While the product you sell is the most important thing, the design of your website will be important. If your website is attractive, it will be much more successful than a website that is unattractive. Contracting a web designing company to help you get your website off the ground will be a major factor in your success, and you should hire the best one you can afford. Online marketing and SEO are two important aspects that will contribute to your online success, and you need to plan how you will make the most of these two tools. If you don’t know how to use them effectively, then you should consider hiring a professional who can ensure that your internet marketing and SEO efforts are as successful as possible. Many websites die out simply because they neglect to update their sites with regular content. The most important thing to remember is that people want to find out new information, so keeping your website from becoming static is an important factor in your success. Author Bio: Lakis Vladimirou is CEO of Cyprus Web Design firm Webarts Ltd and he often writes articles for Company Formation Cyprus and other business consulting services.